Last weekend, I made my maiden attempt at a long distance endurance event. 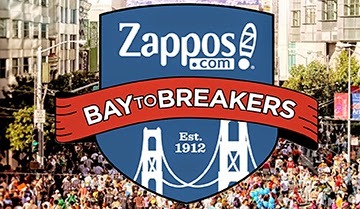 I ran and completed the 12k/ 7mile Bay to Breakers in San Francisco, California. The race route stretches the entire length of the city, from the SF bay to the Pacific Ocean. The 103 year old event is meant to be a festive event allowing folks from far and near to dress up in their favorite costumes while running. I am not sure how and when people started to associate endurance events to honoring the memory of our loved ones, but to me it does not seem surprising. The emotional and physical strength required to complete an endurance event to me is similar to overcoming loss. We need to often dig deep and look for inspiration to overcome both. 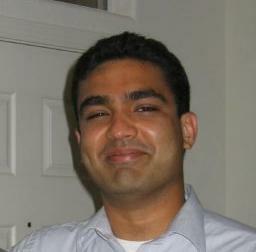 My inspiration lied in Anuj - the good guy, athlete, motivator, inspirer we all know and love. And while yes, to an avid runner the distance might seem relatively easy, but for a novice like me, I definitely had to dig deeper to complete the course. His memory is what kept me going especially in the last 2 miles when my body was feeling pretty rough, but I thought of him and I knew I couldn't quit now. Being a bay area native for many years now, I had partaken in the annual event before but always from the side line. So to actually be part of it especially when it held a special meaning for me and doing so with 50,000 other folks who also ran with I am sure some hidden motivation is something I will never forget and will always hold close to my heart. Run with a Purpose; Run to be Inspired; Run to Inspire.